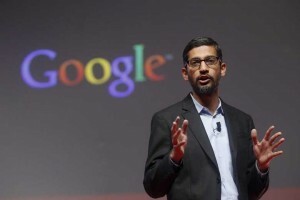 India-born Sundar Pichai the current CEO of Google is coming to India for a Google event on December 16. In the event Google is going to announce its new economical Smartphones for commoners, these phones will come under the category of Google’s android one. During 2014, Google tie-up with many smartphone manufacturing companies like Micromax, spice, celkon and intex to bring many new economical smartphones. Google stated that the new phones will provide a pure android smartphones experience like nexus, and these devices will get updates prior to other devices. Despite having decent features nexus phones are not successful among people so, the Google come up with its new affordable smartphones to reach the lost market. Google also stated that its new devices will be under the range of Rs.3000 so that everyone can enjoy the smartphone experience. Google sent invitations to various media organizations to conduct the event on December 16, the internet giant will surely come up with many new ideas to woo the people in India. Let’s wait to hear what the Google is going to offer for us.